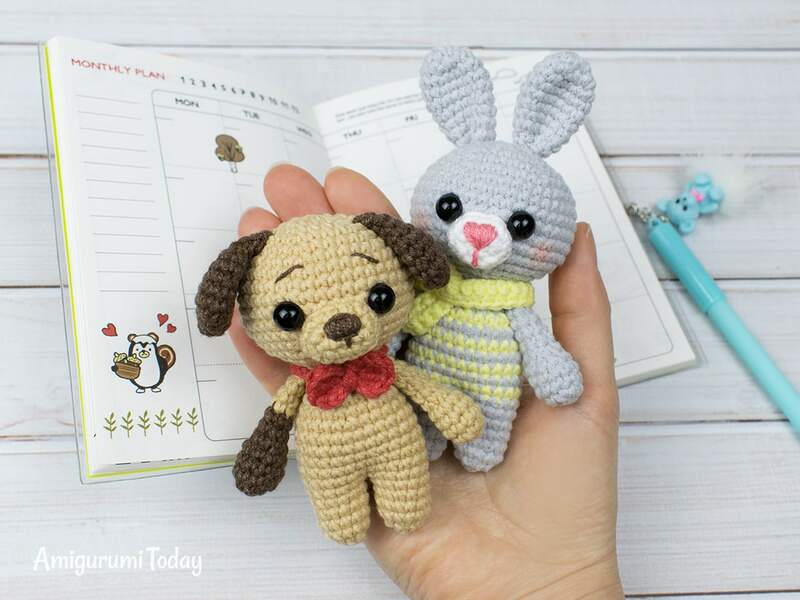 You never know when you will need a little friend so it is best to keep this amigurumi puppy nearby at all times! 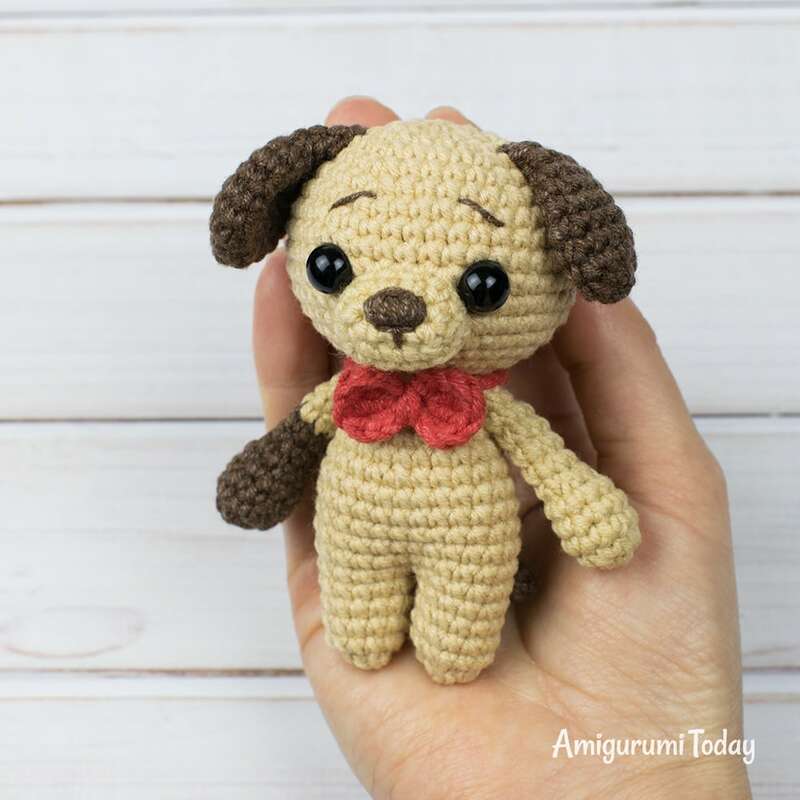 With the small stature of this amigurumi puppy that is really easy to do. It will fit right in your pocket! 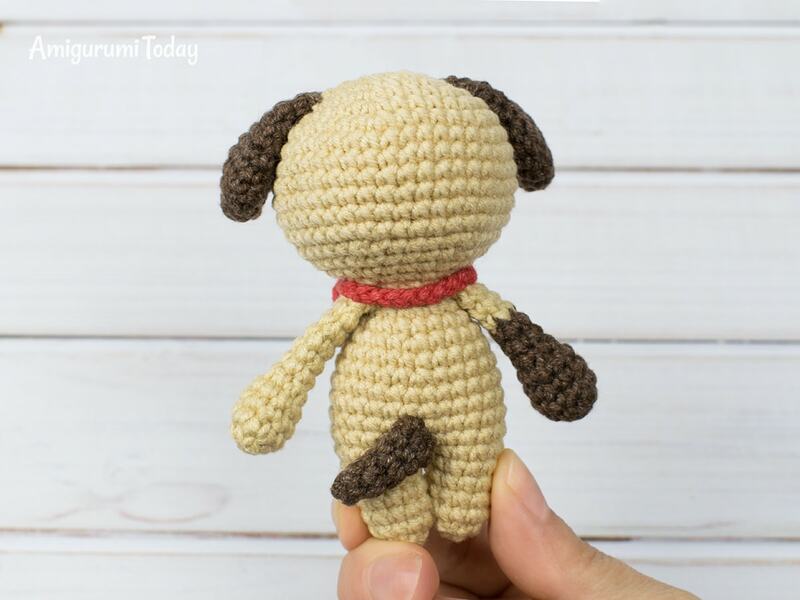 Make this tiny friend with our step-by-step puppy crochet pattern! 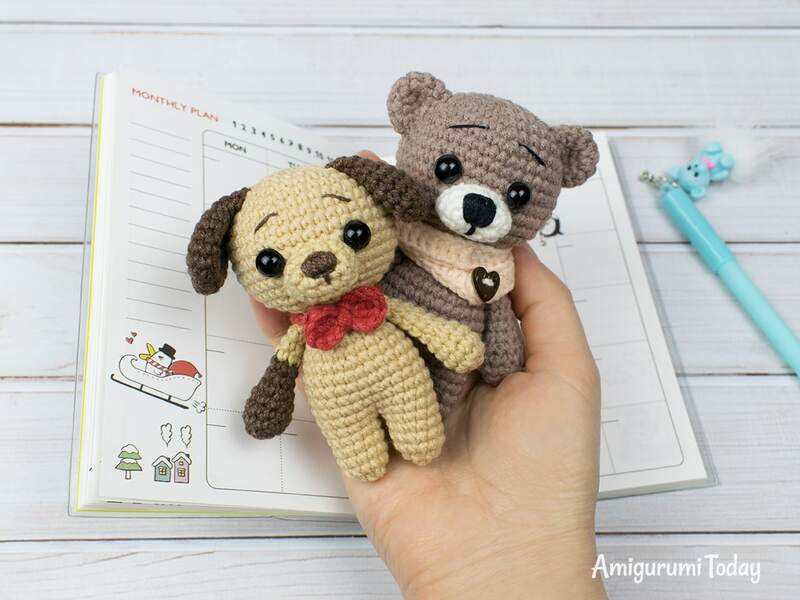 The height of finished amigurumi puppy is about 10 cm (3.9″), if you use the same yarn and hook. 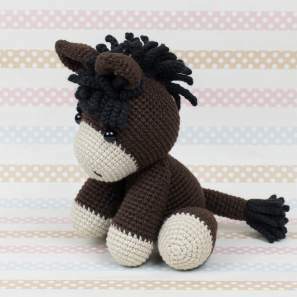 The pattern can also work well with the yarn of other weight, but the size of finished crochet toy will be different. 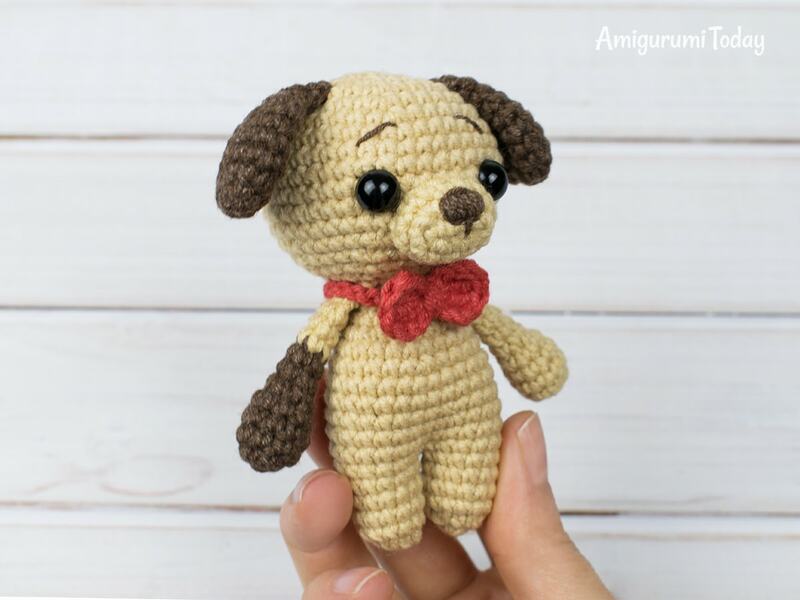 The head, body and legs of this tiny amigurumi puppy are crocheted as one piece. 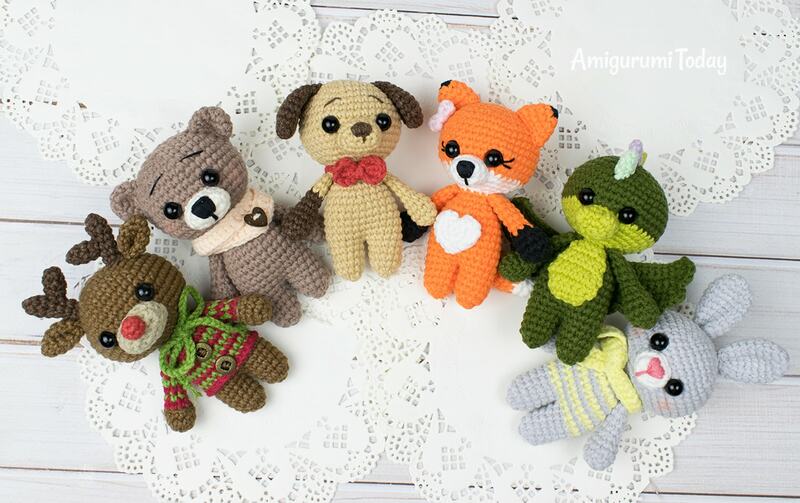 They’re joined in the course of crocheting. Work in continuous rounds using a stitch marker. Insert safety eyes between Rnd 11 and Rnd 12 (7 st in between the eyes). Add more stuffing. The head is done. Continue working on the body. 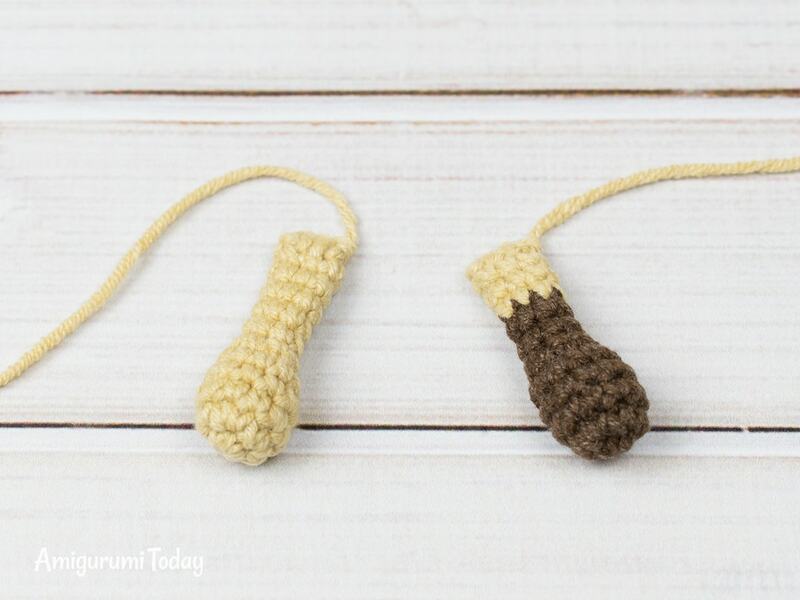 Now you’re going to crochet legs. 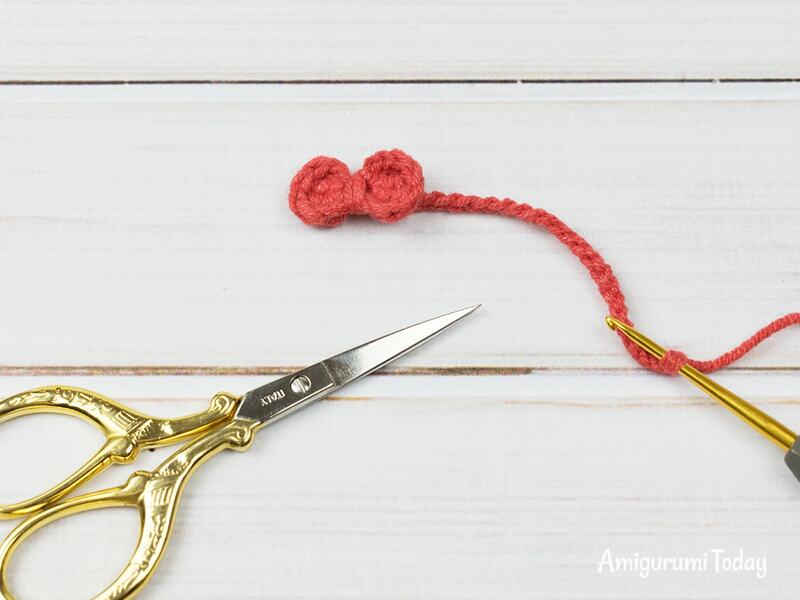 Divide the body in two equal parts with stitch marker (each part consists of 13 st). Fasten off leaving a small tail. Weave in the yarn tail in front loops of the rest 7 stitches, then pull to close the hole. Hide the end. 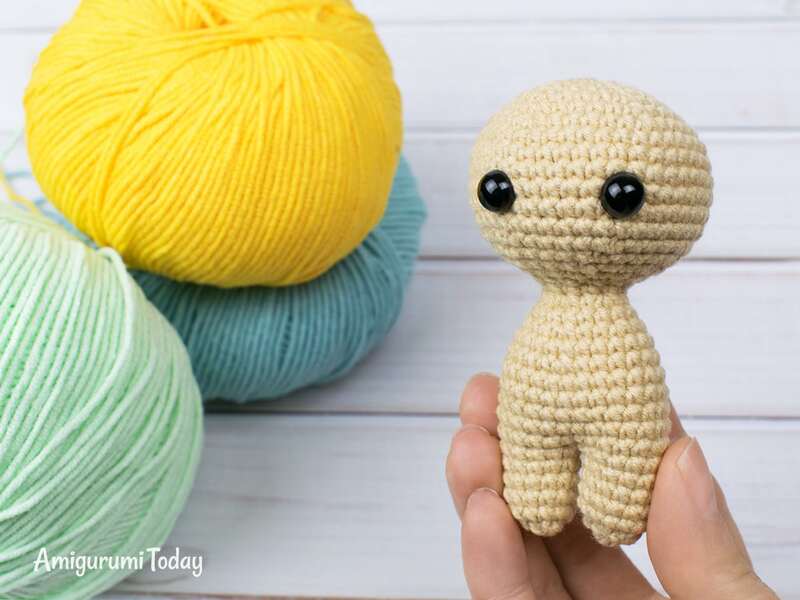 Join the beige yarn between the legs and crochet the second leg on the rest 13 st of the body in the same way. Stuff the bottom of the arm with fiberfill. Switch to brown color after Rnd 8 for one of the arms. 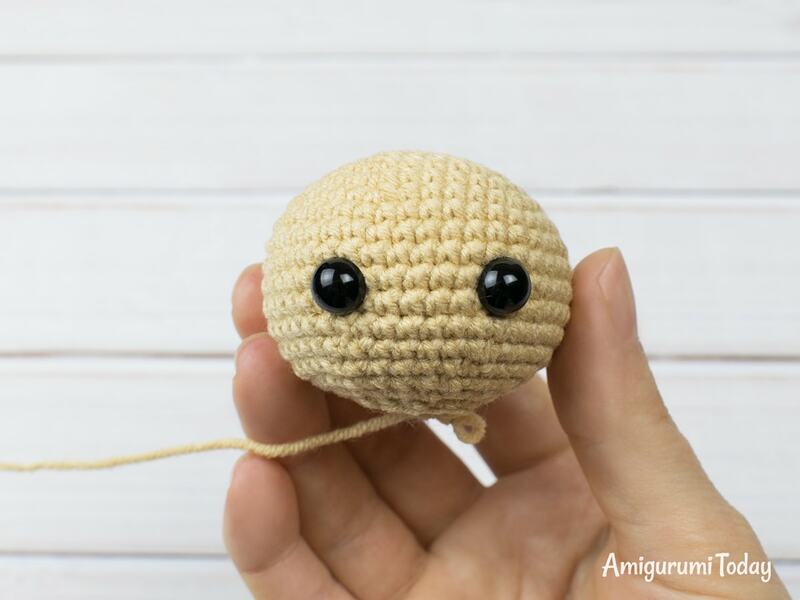 Make 5 ch with beige yarn. Continue working around the foundation chain, beginning from the 2nd st from the hook. Finish with sl st. Fasten off leaving a tail for sewing. Stuff a little bit. Flatten the edges and crochet 4 sc through the stitches of both layers, closing the hole. Fasten off leaving a tail for sewing. Crochet in magic ring: (2 ch, 4 tr, 2 ch, sl st) repeat 2 times. 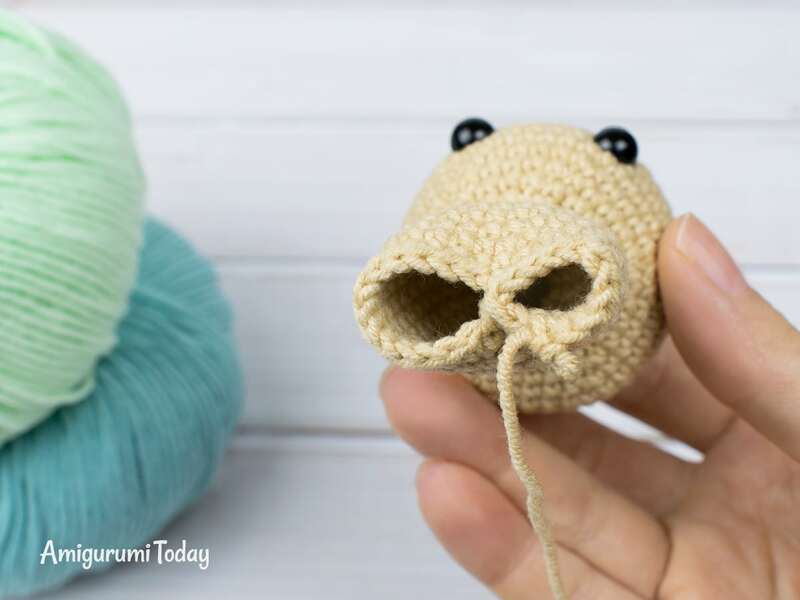 Wrap the middle point of the bow with yarn tail several times. Tie off leaving a long yarn end. 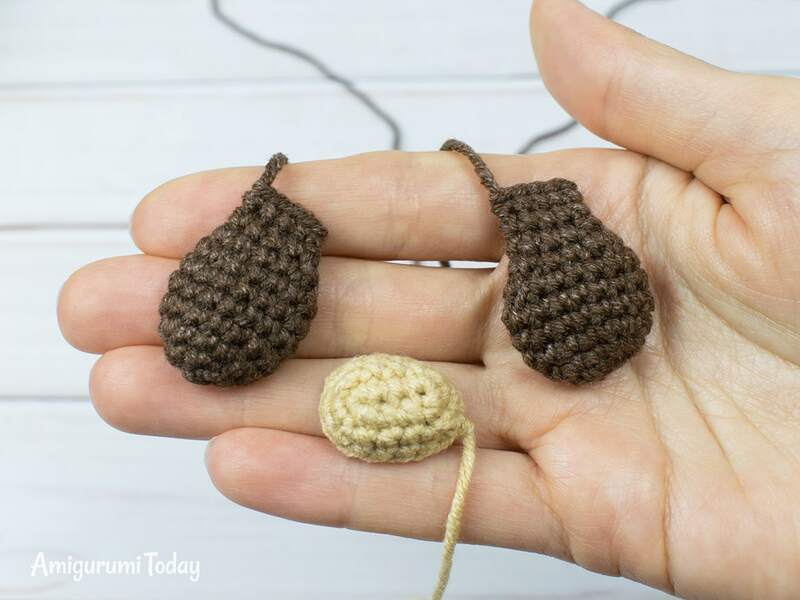 Crochet a chain using this yarn tail, try it on the neck to get the right size. 1. Sew on the muzzle at Rnds 11-15. 2. Embroider nose and eyebrows. 3. Sew on the ears at Rnd 4 of the head. 4. Sew on the arms at Rnd 19 of the body. 5. Sew on the tail at Rnds 26-29. 6. Fix the bow-tie on the neck. 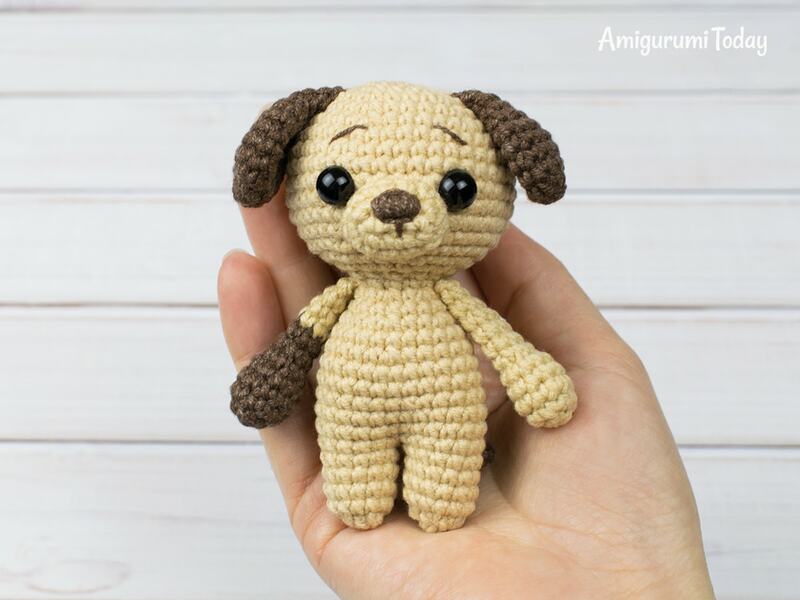 Your tiny puppy amigurumi is done! Gracias por compartir todas esas bellezas, eres una guía insuperable para todas las personas aficionadas como yo. Excelente!!! 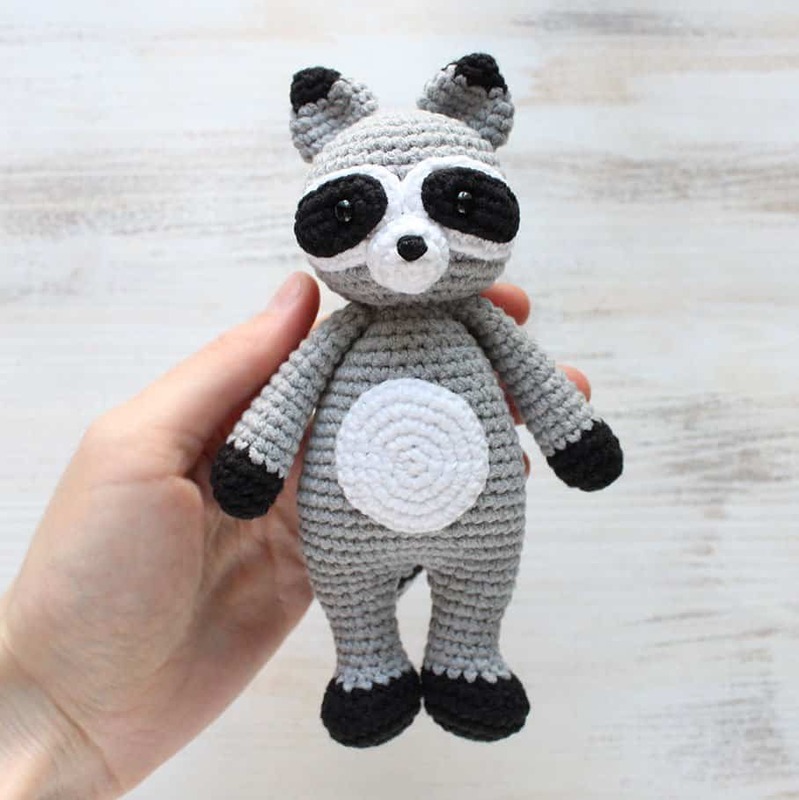 So beautiful but where I can find the bunny version of this pattern? 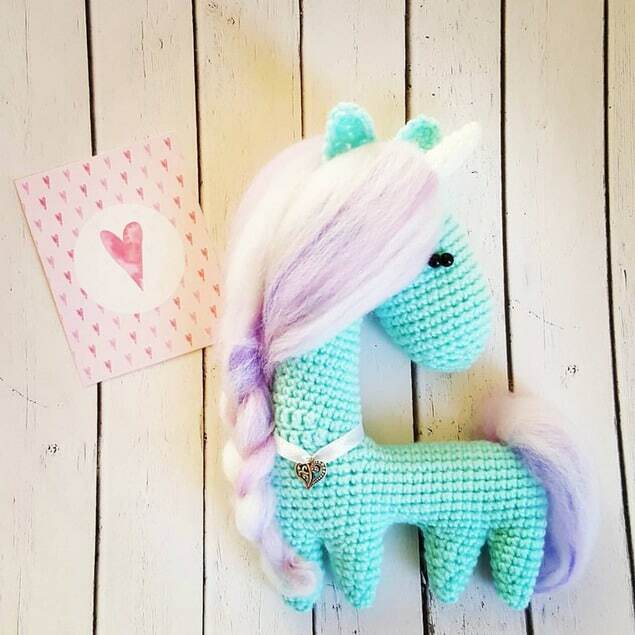 Your work are beautiful, please the yarn size is Fine (SIze 1) right? Hi!!! You r really good….I just love ur work! I tried the puppy n it came out good my daughter is very happy n wants more of the animals. Thanku somuch for the patterns. Keep going, God bless. 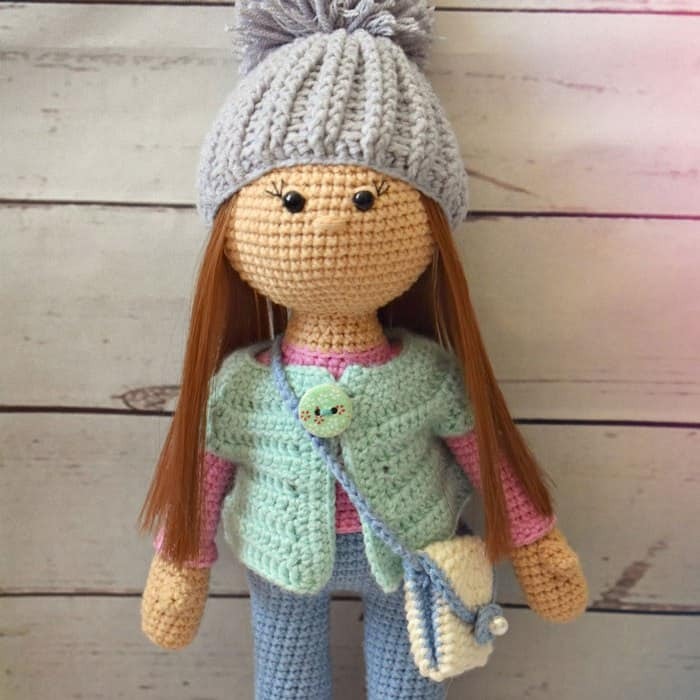 thank you so much for sharing this pattern with us this one is really cute I am making it right now ! love your patterns, so glad i found your website. you have so much talent. hope i can make them as well. thank you so much for sharing.